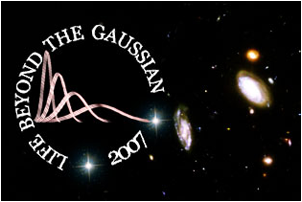 Sponsored by: Argonne National Lab, (HEP), University of Chicago, Kavli Institute for Cosmological Physics. 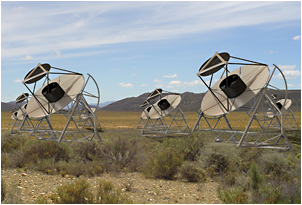 The goal of this meeting is to bring together an international collaboration of persons interested in the future of gamma-ray astronomy; to define the direction for the next generation observatories and to discuss the scientific motivations and technical parameters required of such an observatory. These ideas are now being formulated into a White Paper requested by the Division of Astrophysics of the American Physical Society. Our aim is to bring together researchers to exchange ideas -- of a theoretical and observational nature -- in the course of an intensive three-day workshop. The theme of YSI 2007, "Mapping," was inspired by the citywide Festival of Maps. Three daytime laboratories were developed for the institute to highlight different aspects of cartography. Mapping the Invisible investigated how astronomers use "invisible" colors such as infrared light to map and understand star-forming regions. Mapping the Yerkes Grounds involved students creating their own maps and testing their accuracy with a scavenger hunt. Projections explored elevation profiles and contour maps. The three nighttime laboratories: Mapping Nebulae in Multiple Wavelengths, Constellations, Determining the Structures of Galaxies, although somewhat dampened by rain this year, were also developed to fit the mapping theme. Instructors: Matt Bayliss, Charles Brass, Kyle Cudworth, Robert Friedman, Walter Glogowski, Nick Halmagyi, Sarah Hansen, Vivian Hoette, Rich Kron, Zosia Krusberg, Randy Landsberg, Sav Sethi, Chaz Shapiro, Reid Sherman, Ivo Seitenzahl, Chris Thom, Aurora Tyagi, Phil Wisecup, Benjamin White. One of the most outstanding open questions in cosmology and particle physics is the origin of the observed asymmetry between matter and anti-matter. There are several scenarios which explain such an asymmetry, which rely on physics that ranges from the QCD scale to energies close to the GUT scale. In this workshop we will analyze these scenarios and discuss their possible tests at present or near future experiments. Cosmic maps chart the evolution of the universe from the epoch of recombination 380,000 years after the bang until today. 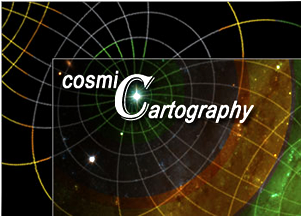 "Cosmic Cartography" will be the first conference devoted to making cosmic maps, as well as the interpretation and analysis of the maps. 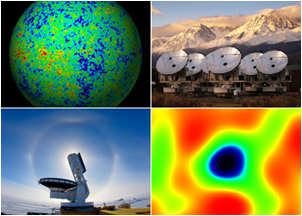 Topics will include cosmic microwave background, large-scale structures etc. This three-day, intensive short course will highlight cartography on the grandest scales: mapping the cosmos. It will explore the ethereal science of cosmology in the concrete terms of the observed hierarchical structure of the universe - which we have only recently come to understand. Chicago Maps the Cosmos will explore our current understanding of the cosmos from the perspective of those who are at the forefront of investigating it, and it will provide participants with the tools they need to bring the excitement of discovery back to their home institutions. Chicago Maps the Cosmos will also encompass the broader themes of Festival of Maps: Chicago - cartography, discovery, exploration, inspiration and showcasing the local riches of the city of Chicago. The unifying theme of 2007 KICP Yerkes Winter Institute was mapping motion. This theme extended KICP's participation in the citywide Festival of Maps and directly connected to the weekly, Saturday, on campus, explorations of gravity. 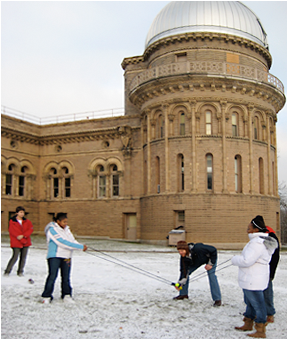 YWI examined the force of gravity and the ways in which scientists use our understanding of gravity to map motions in the Universe. Twenty-one (21) Space Explorers, and seven (7) laboratory instructors participated in YWI 2007. The day laboratories explored different aspects of motion and gravity. "Shoot the Monkey" involved a classic trajectory lab with the addition of creating an accurate comic flipbook to depict the physics involved. "Galileo's Pendulum" examined what variables influence the motion of a pendulum and how a pendulum can function as a clock. "Weighing a Black Hole" combined basic orbital mechanics with recent observations of the motion of stars around the Galaxy's central black hole to calculate how massive it is. Evening activities included observing the night sky with binoculars, "Big Eyes", and a special presentation by KICP Visiting Scholar Joao de Mello about the Pierre Auger Observatory and its recent results on tracing the source of ultra-high energy cosmic rays back to activity caused by extremely massive black holes at the center of galaxies. Instructors: Charles Brass, Kyle Cudworth, Joao de Mello, Walter Glogowski, Vivian Hoette, Zosia Krusberg, Rich Kron, Randy Landsberg, Christopher Thom, Jeremy Tinker, Aurora Tyagi, Phil Wisecup.